Houses are huge investments. It takes a while before you actually find and settle into what you might call your dream house, and even at that point you’re still looking around, wanting to make it brighter, cozier, closer to what you've envisioned your abode to be. You may be a single and successful yuppie finally wanting into your own pad, or you may be one-half of a newly wedded couple who can’t wait for a pretty place of their own. But whether you’re a fashion-forward flat-owner or a down-to-earth ranch house homeowner, you still want your dream home to be a reflection of your own taste. So when it comes to hunting for furniture, construction materials, home accessories and materials, which shops do you trust the most? Two of the highest ranking house product retail stores are Home Depot and Lowe’s—let’s take a look at them. 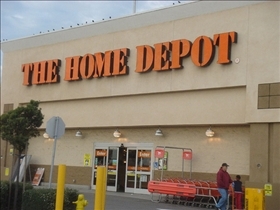 A group of businessmen established the Home Depot in 1979. Merchandising expert Pat Farrah owned a small retailer called Homeco. When it ran out of business in the late 1970s, he joined businessmen Bernard Marcus and Arthur Blank along with their co-worker Ron Brill, to build what they envisioned to be a unique home improvement specialty retail store. Home Depot seems to be more attuned to the needs of the home builder or the serious D.I.Y.’er. There are a greater number of power tools on sale for instance and more of the things you need to get your home in shape. Lowe’s began in 1921 and was initially named Lowe’s North Wilkesboro Hardware. It initially sold groceries and dry goods, but in 1943 when Carl Buchan, the husband of Lowe’s daughter Ruth took over the business, fixtures and hardware supplies became its main focus. It appears that Lowe’s is more suited to the needs of finishers and renovators than anything else, although there is a fair selection of power tools to be had. 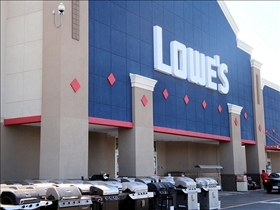 If you are looking for general accessories or home improvement tools and materials, Lowe's should do for your needs. One thing you will notice about Home Depot is that most of the stores carry a lot of items that aren't available via the website. The company is clearly more focused on providing a direct store experience, which may or may not be to your liking depending on your preferences. Lowe's on the other hand carries many of the same items in the store as are offered on the website and online shopping is made remarkably easy by the well laid-out pages. In any case, you should be able to find what you need whether you do your shopping online or you actually walk into the store. The Home Depot is now the largest and most famous of its kind with more than over 2,000 shops all over the United States, while its competitor Lowe’s has over 1,600 stores all over the country. Both stores have had distinctive slogans that underwent changes. Home Depot went from “You can do it, we can help” to “More saving. More doing”—which aims to show consumers they cater even to those who are economical, thrifty and on a tight budget, while Lowe’s changed theirs from “Improving home improvement” to “Let’s build something together” which implies a personal connection and puts a premium on customer service. Home Depot is distinctively known for claiming to being environmental friendly and for advocating for environmental awareness, as well as setting up a label to promote conservation of energy and saving forestry. It now has the largest campaign of recycling fluorescent bulbs in the US. Lowe’s had a similar vision, and has even won several Energy Star Awards, an award body that seeks to promote the protection of environments in partnership with business establishments. Which DIY store caters more to home owners?